Gorgeous day for our first hike in northern Patagonia. 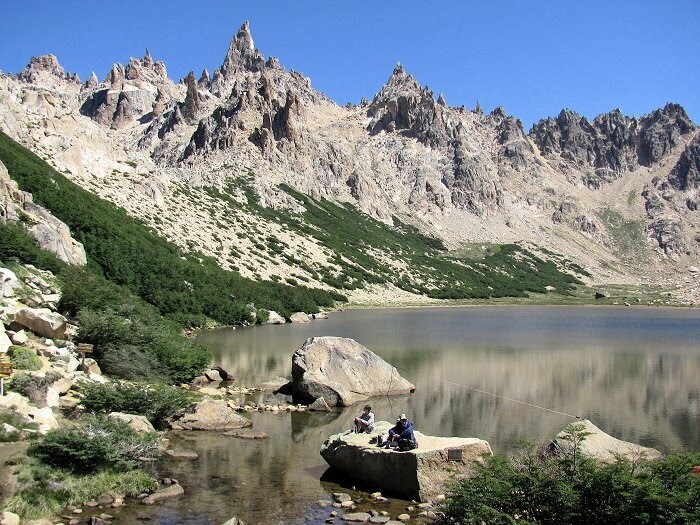 Today we headed to the Laguna Tonchek named for a Slovenian climber, Tonchek Pangerc. A long hike up the Arroyo Van Titter lead us to this exquisite alpine tarn backed by the spires of Cerro Catedral.